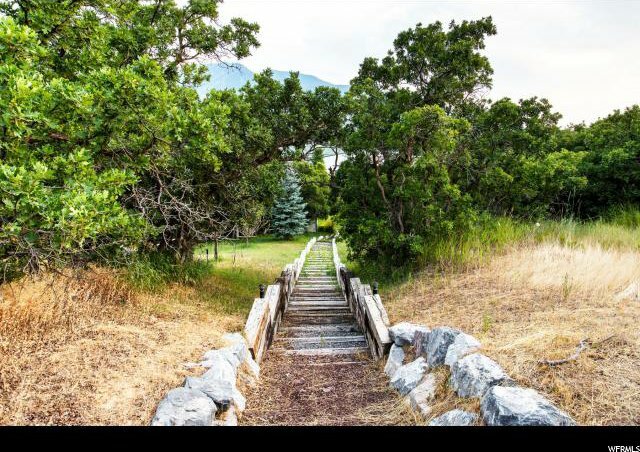 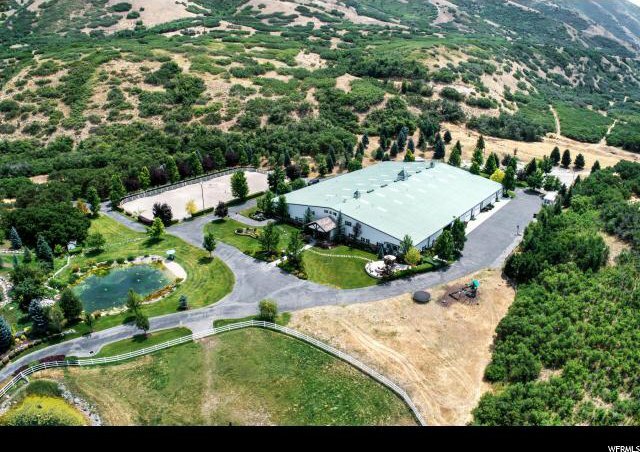 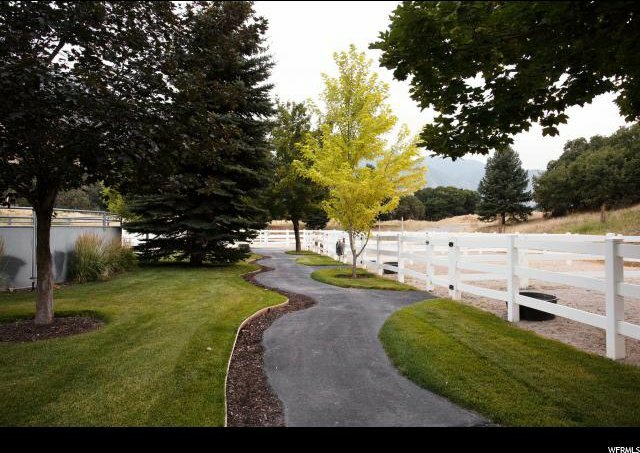 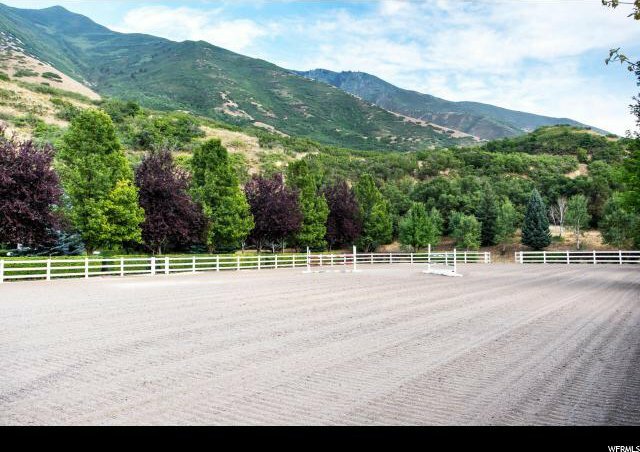 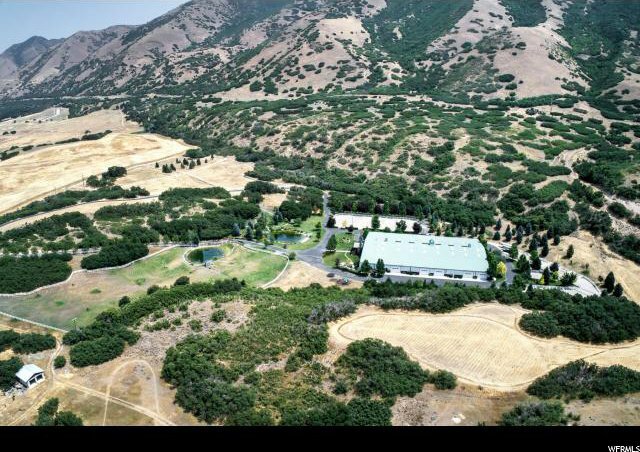 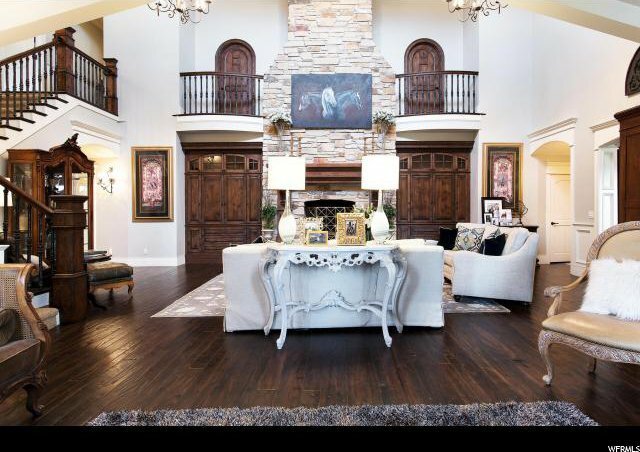 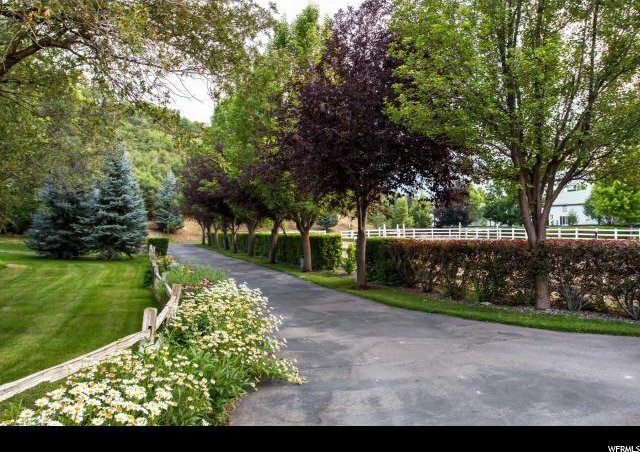 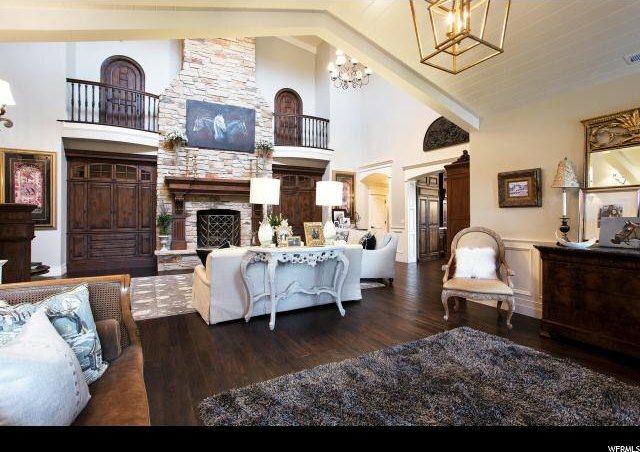 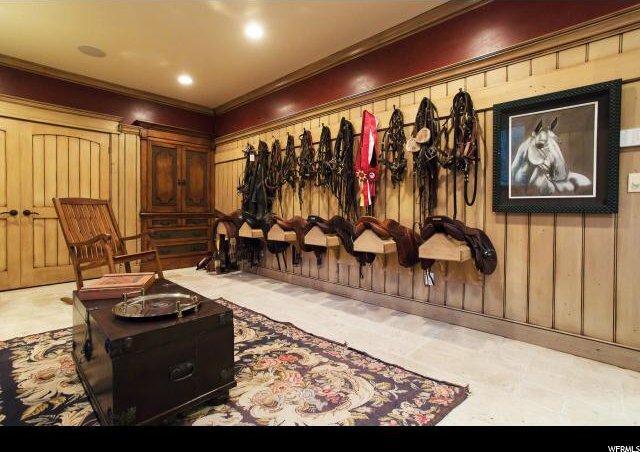 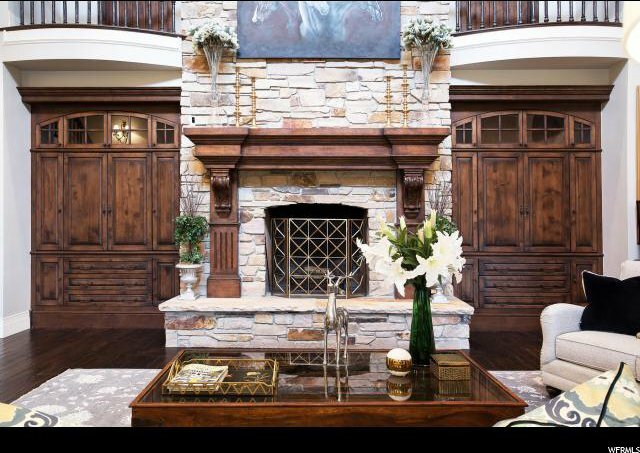 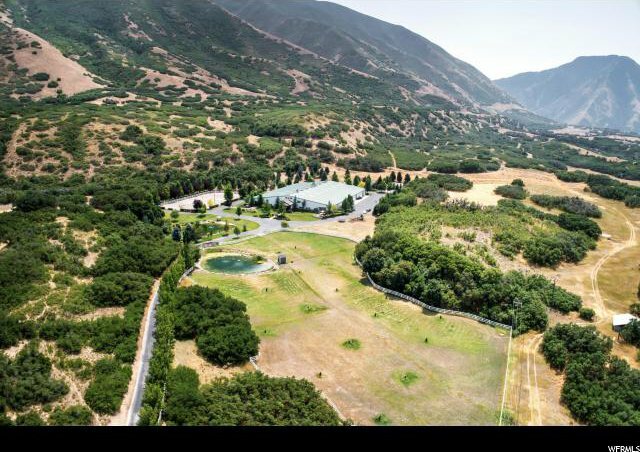 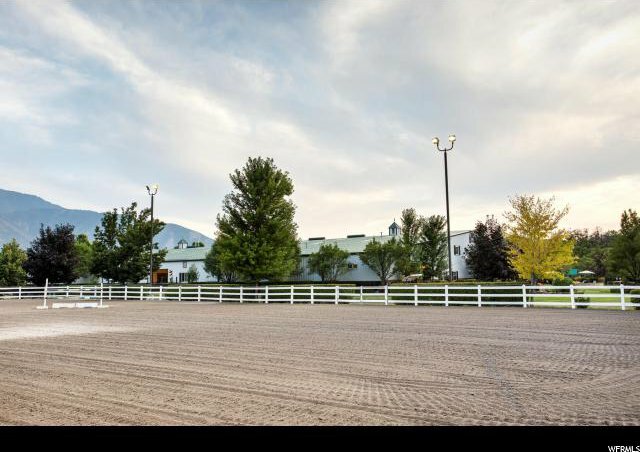 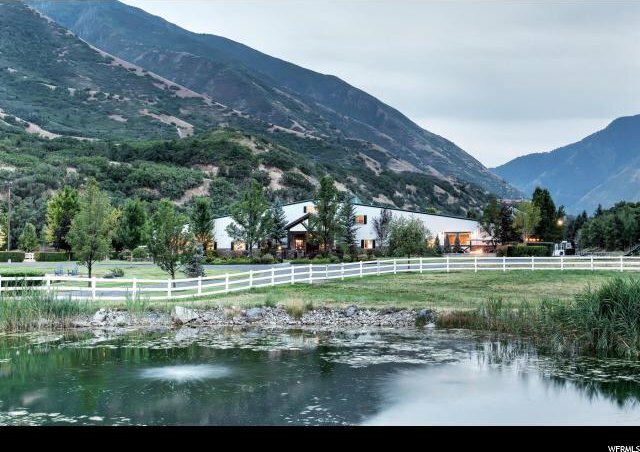 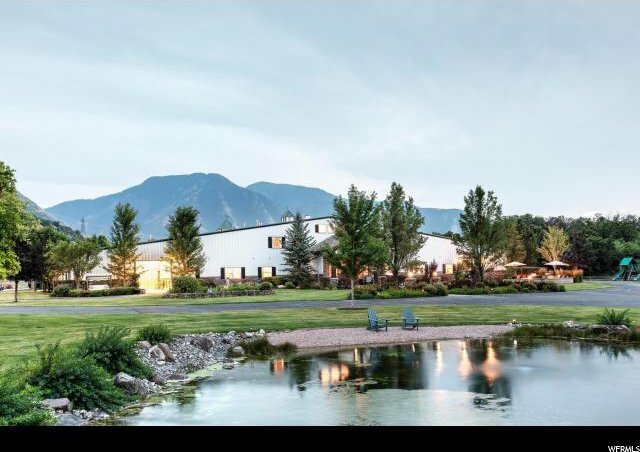 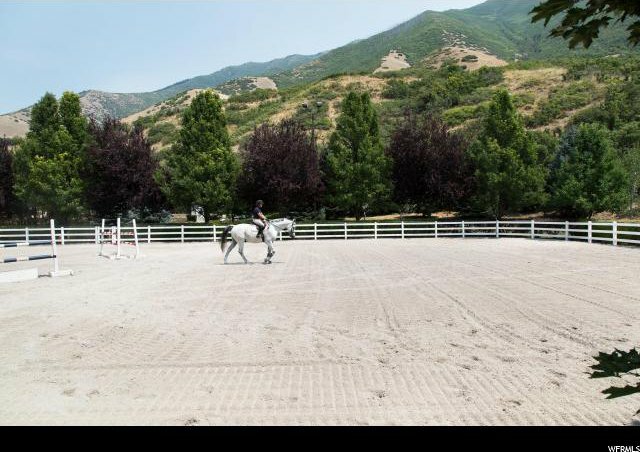 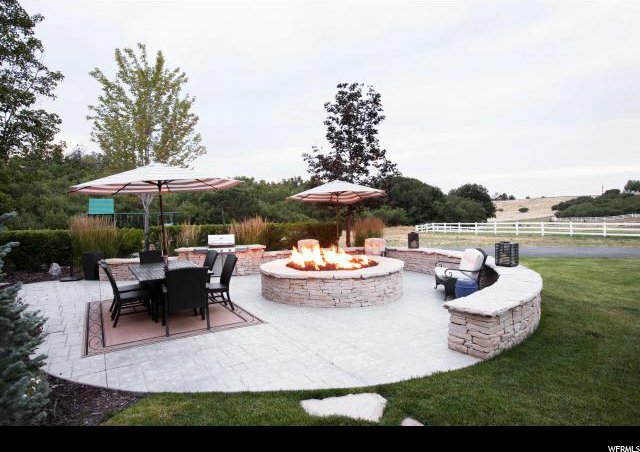 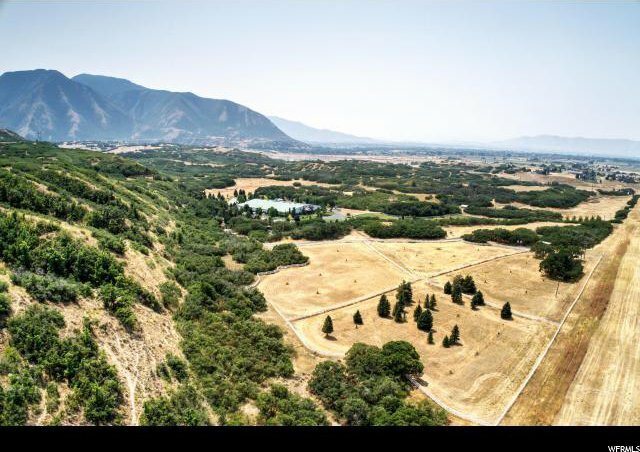 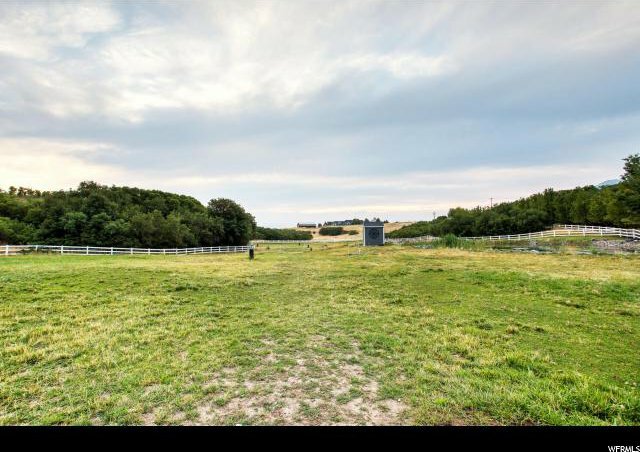 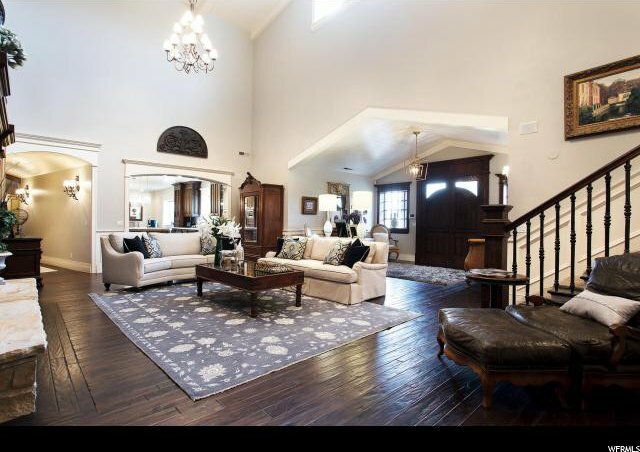 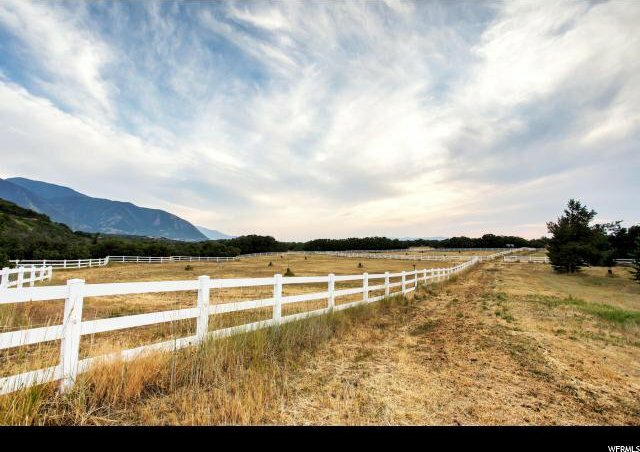 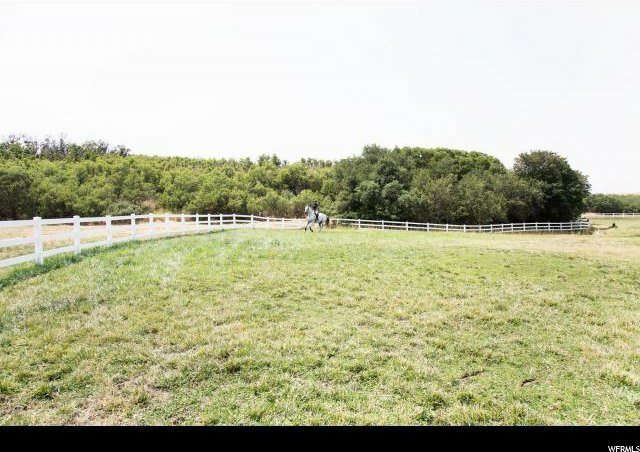 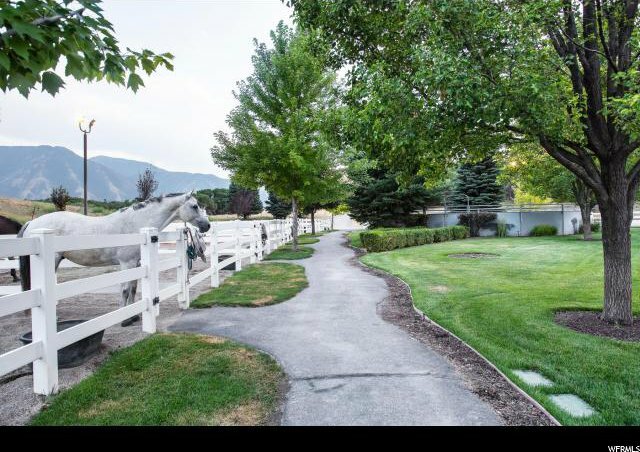 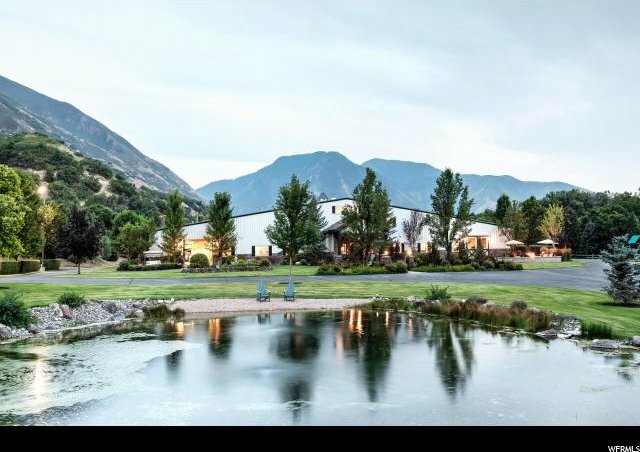 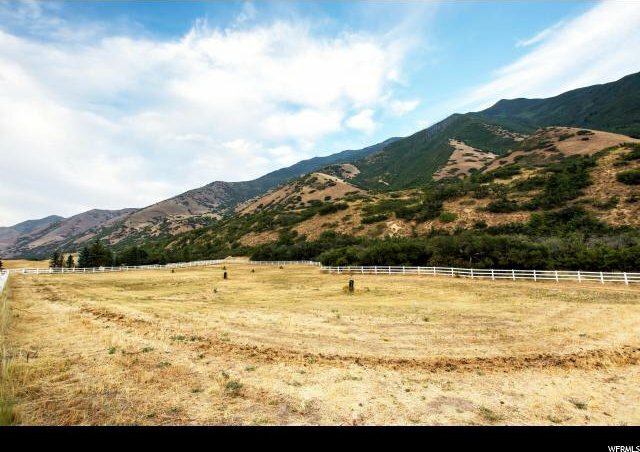 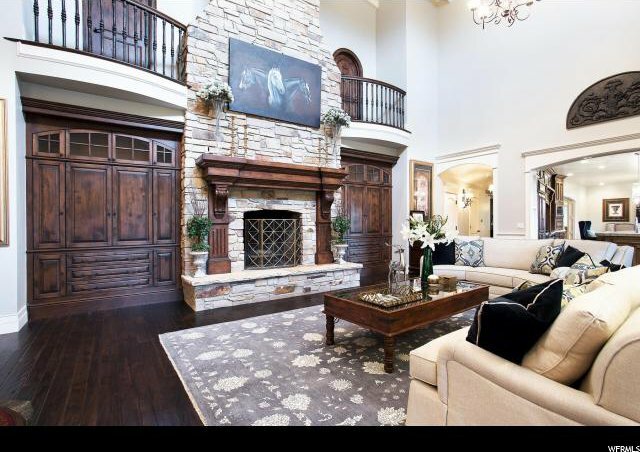 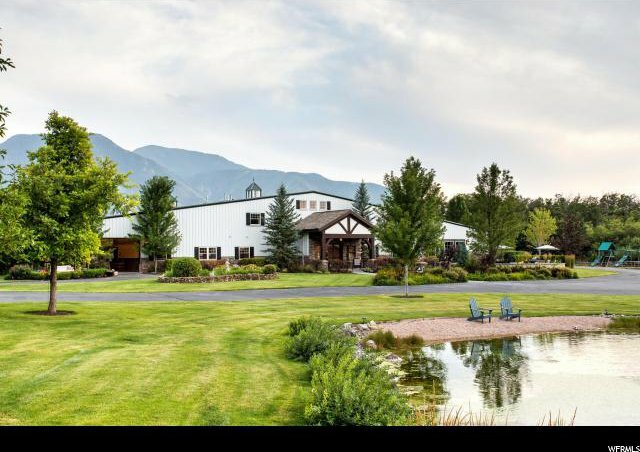 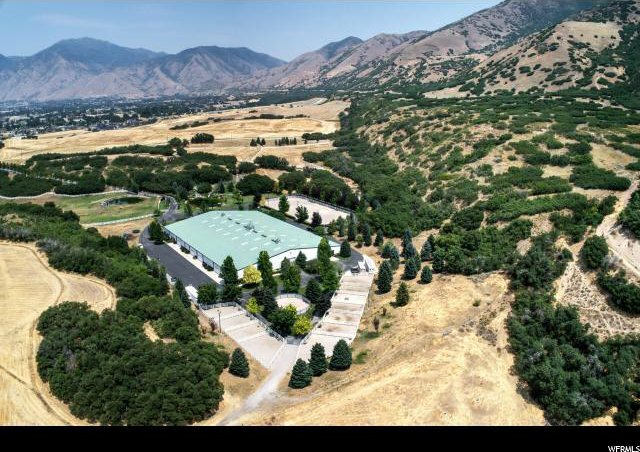 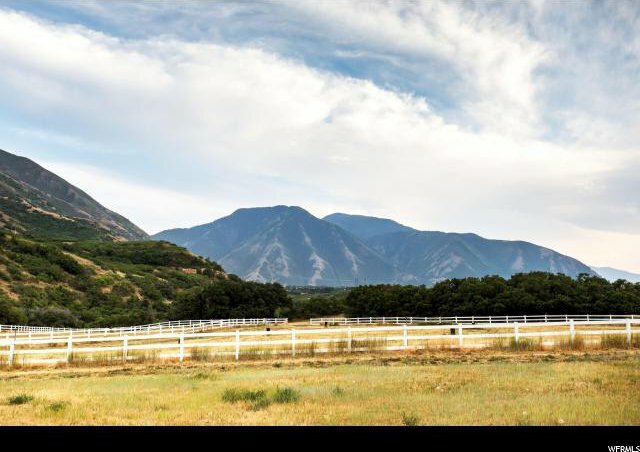 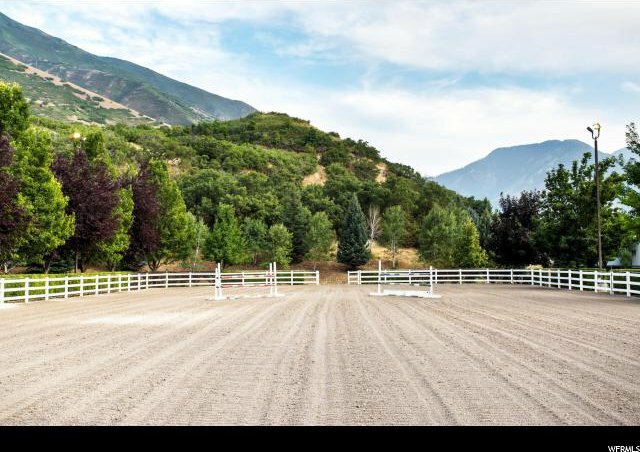 This is a premiere 40-acre gated estate and equestrian facility located at the base of Maple Mountain with direct access to public lands. 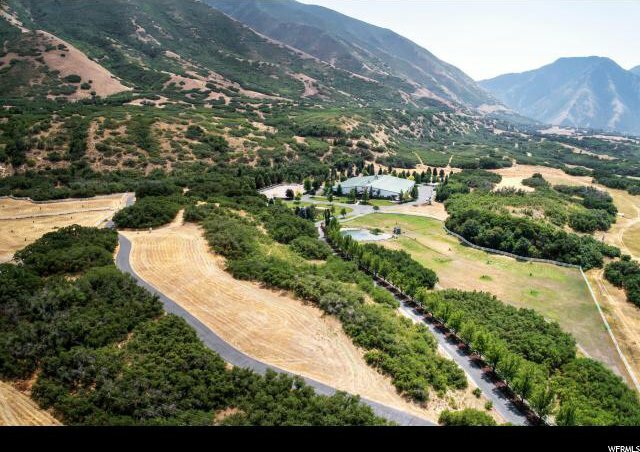 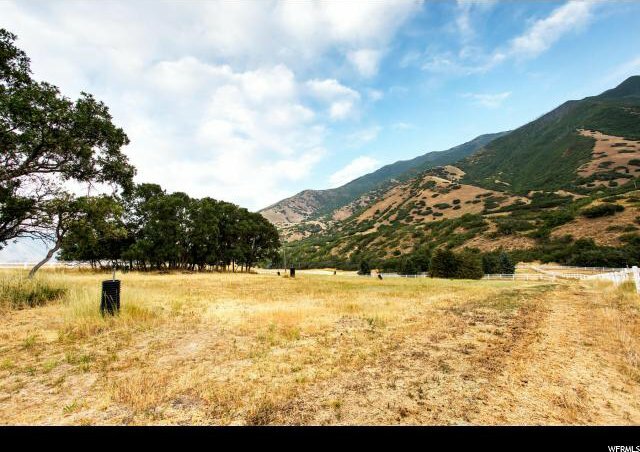 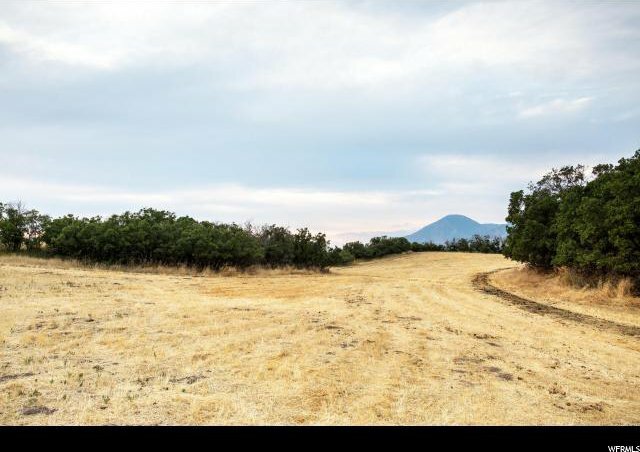 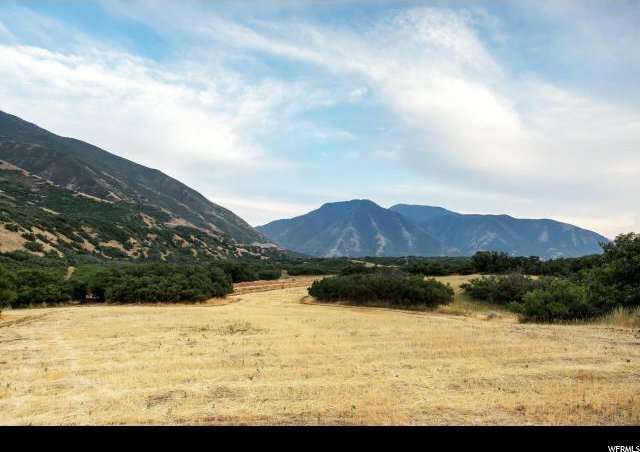 The property is tucked away down a private tree-lined lane with rolling hills, irrigated pastures, and dramatic views of the mountains. 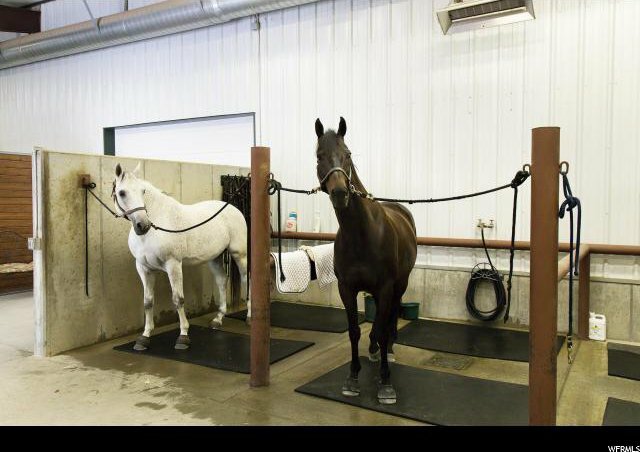 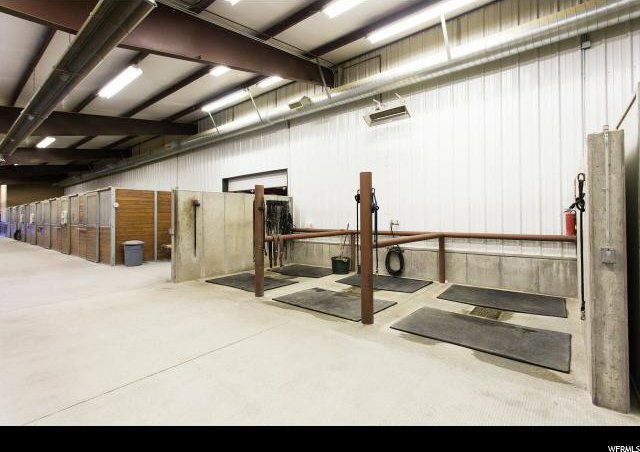 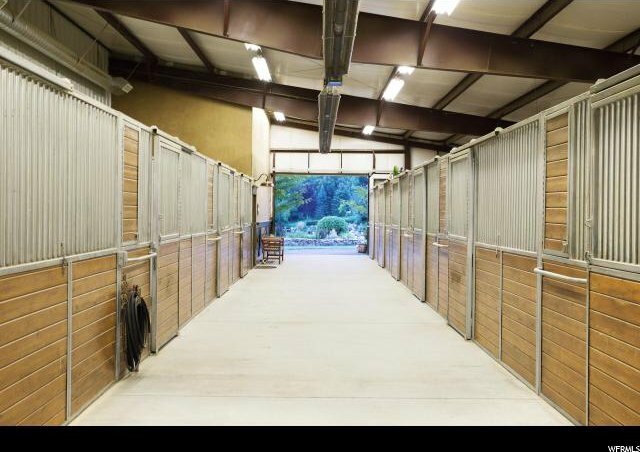 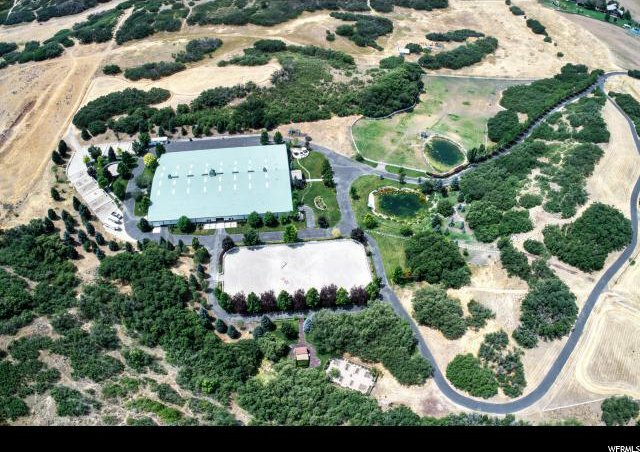 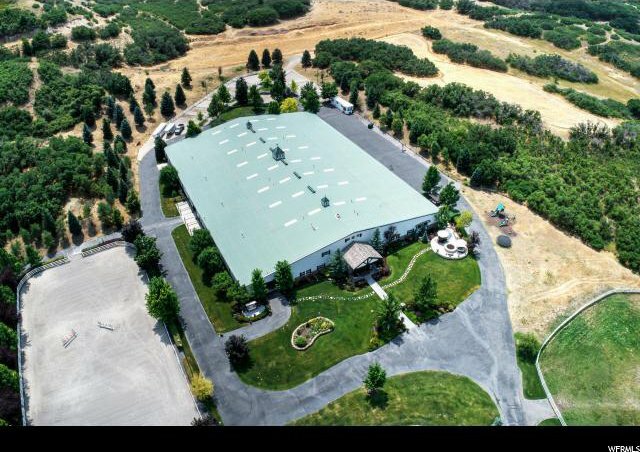 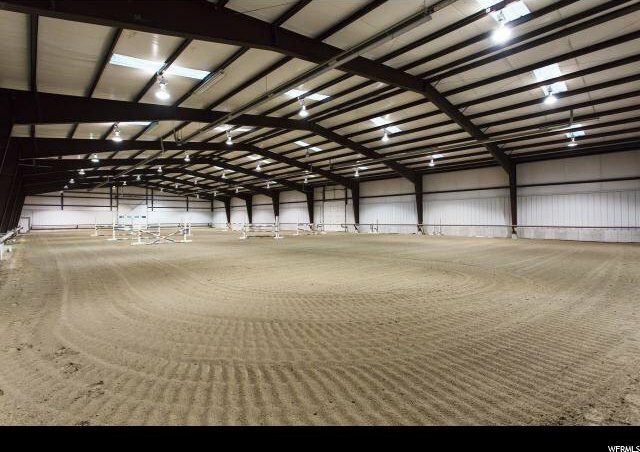 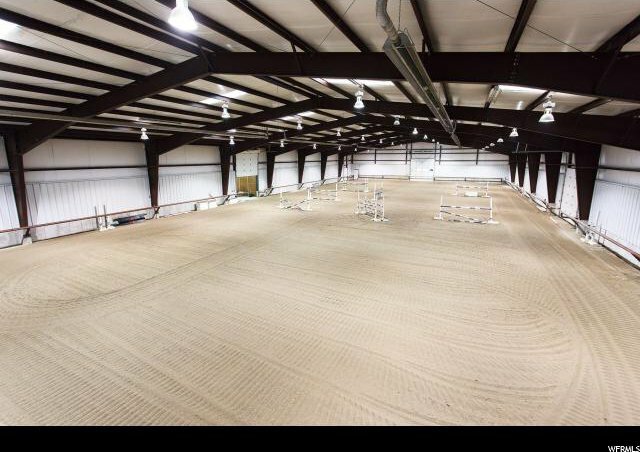 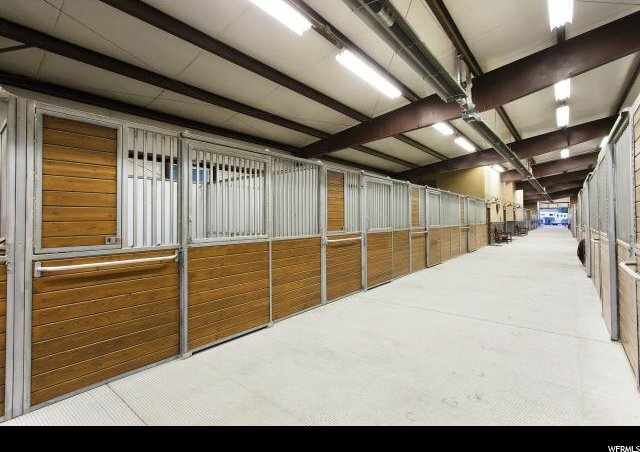 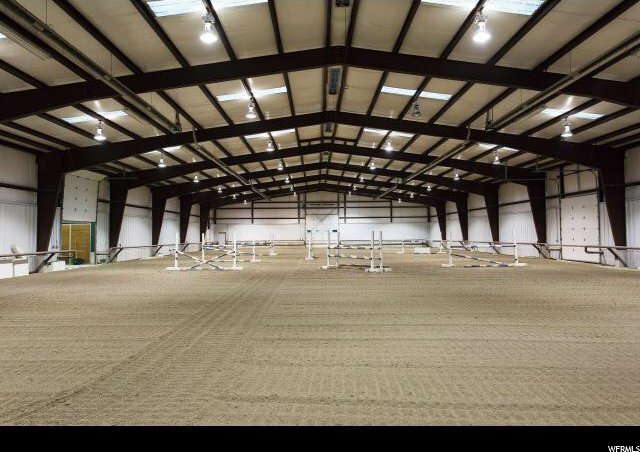 Ranch amenities include 22 heated stalls, a tack room/office, kitchen, an 18,600 sf indoor arena, a 20,000 sf outdoor arena, a round pen, 11 outdoor corrals, a massive 10+ car garage, hay storage, a shavings garage, multiple irrigated pastures, and extensive water rights. 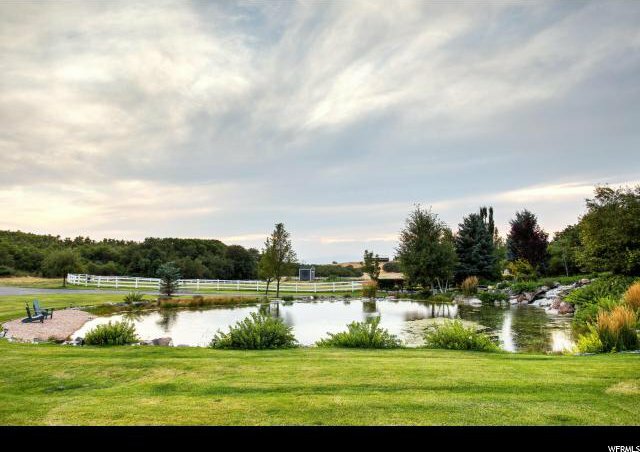 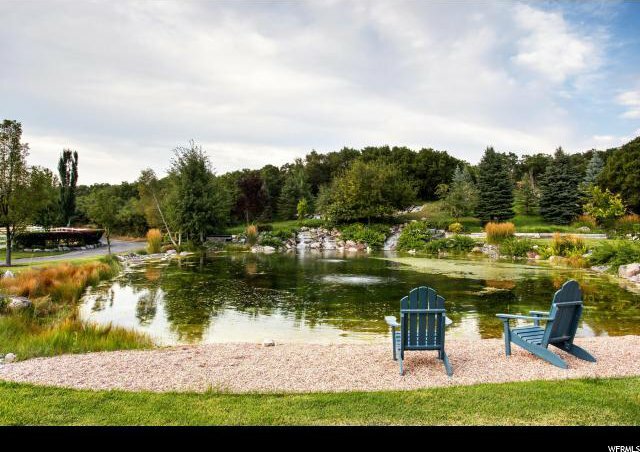 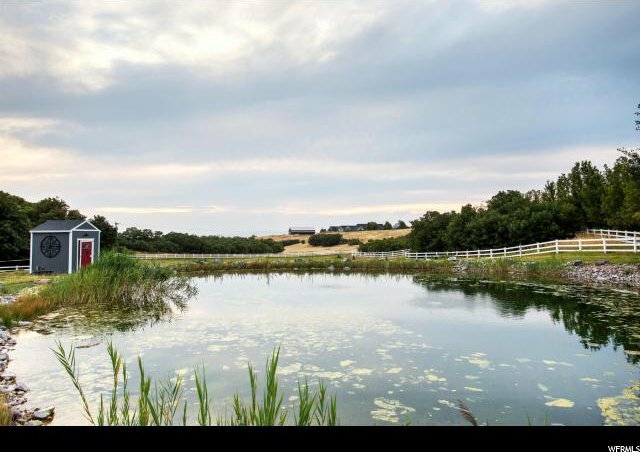 There are two beautiful ponds on the property, one with picturesque waterfalls and another used as a holding area for the irrigation system. 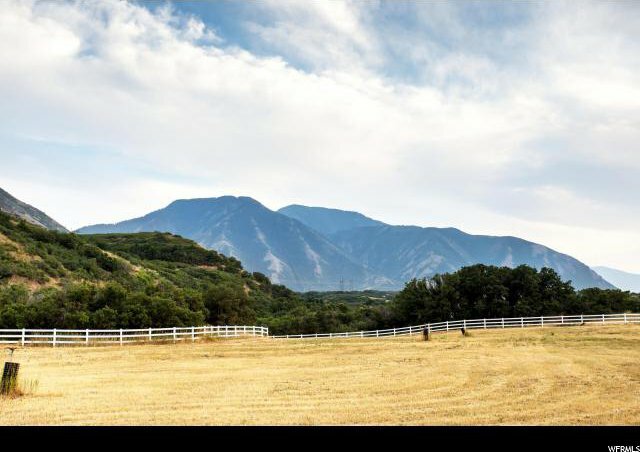 For those who don't ride horses you can ride ATVs, mountain bikes or even go hiking on the foothills of the mountain. 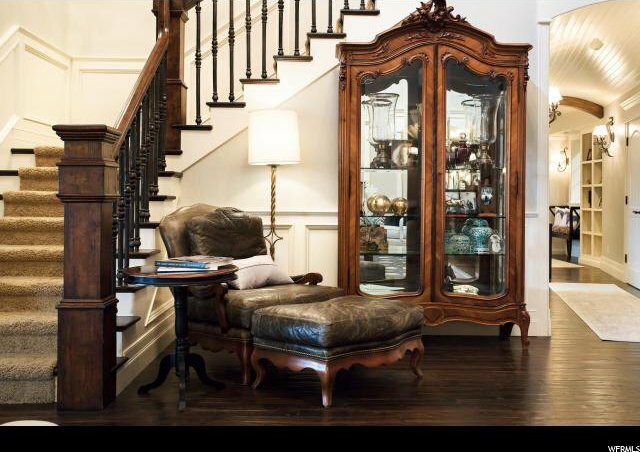 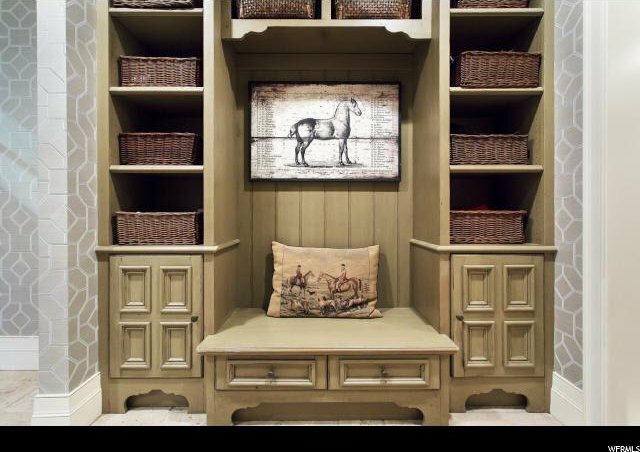 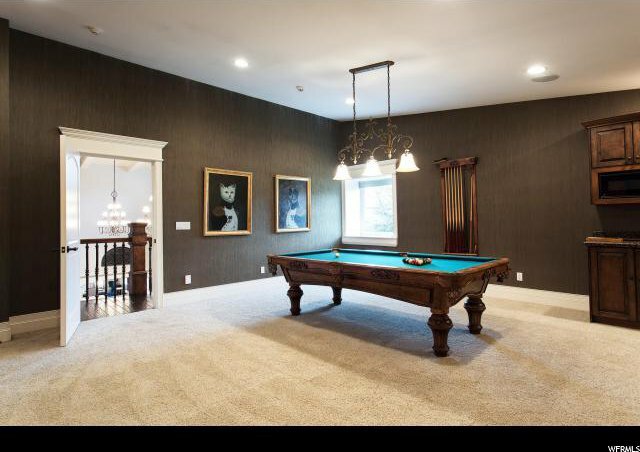 The living quarters are the perfect combination of luxury and livability. 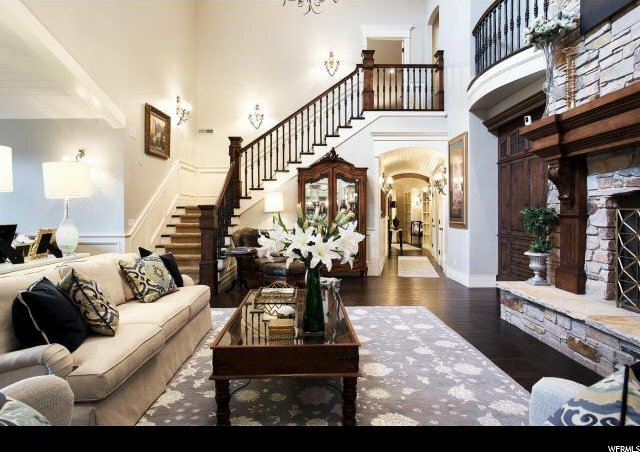 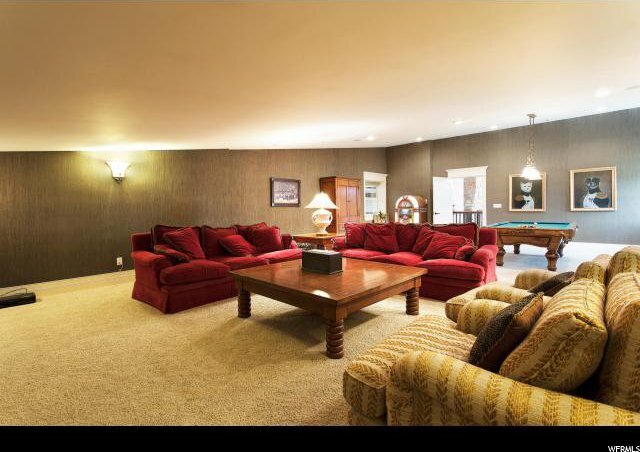 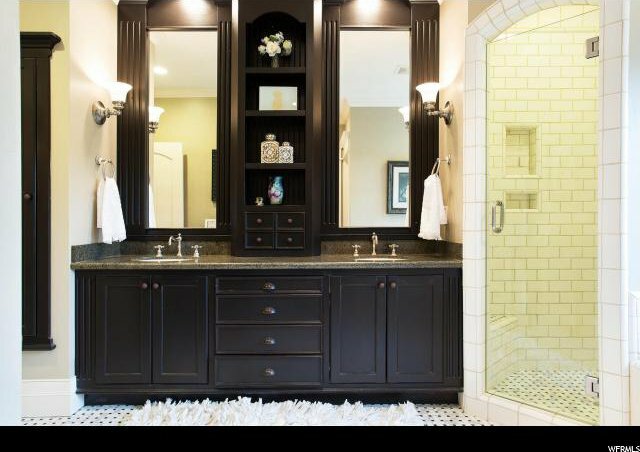 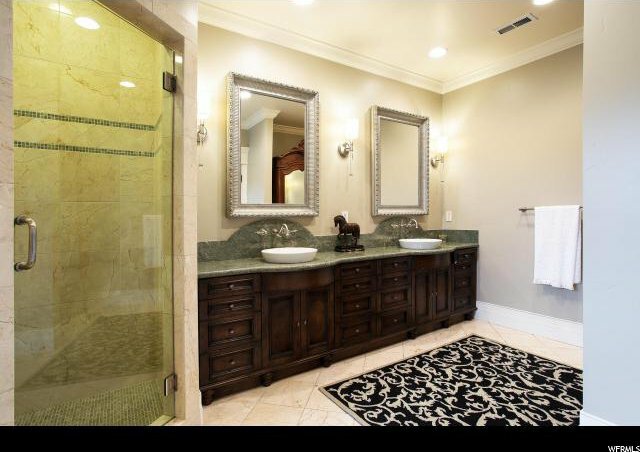 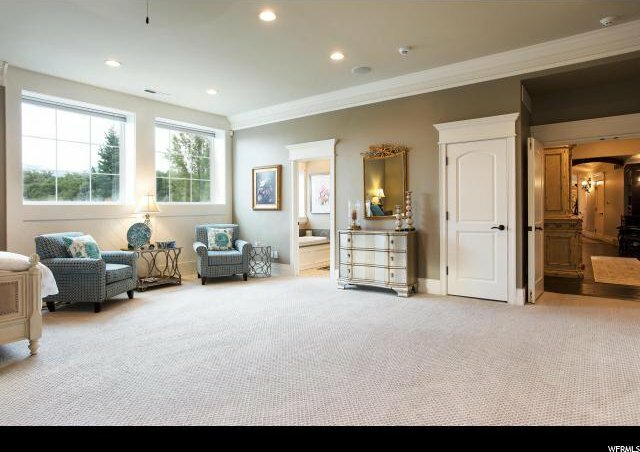 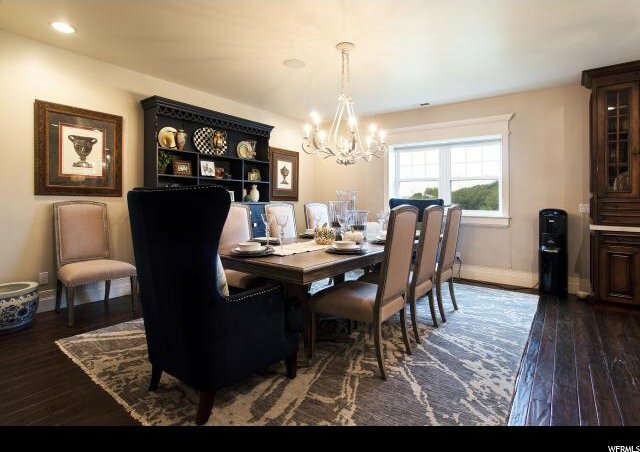 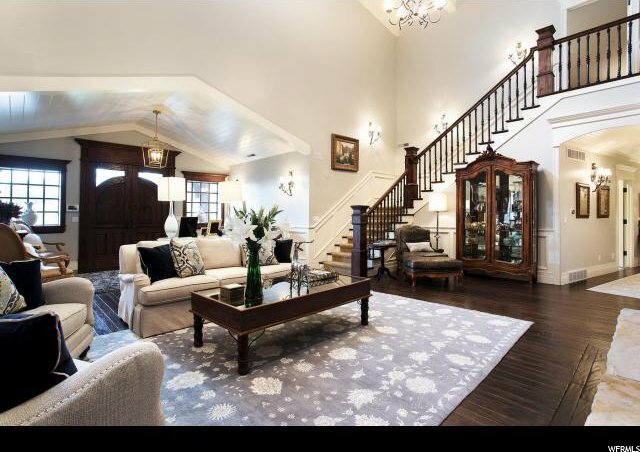 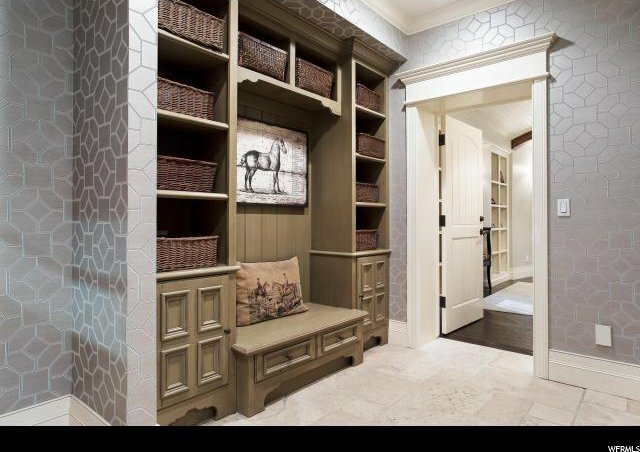 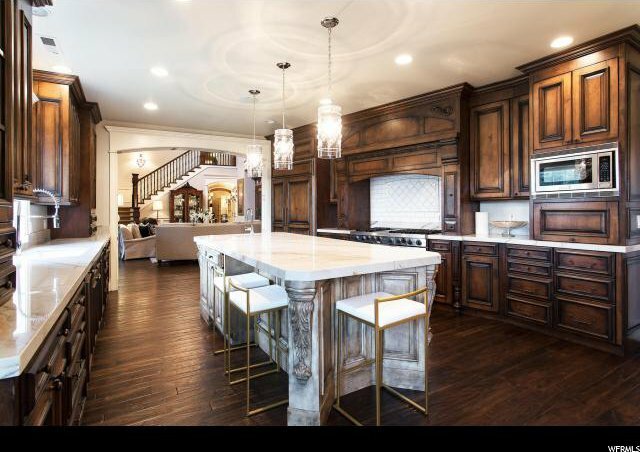 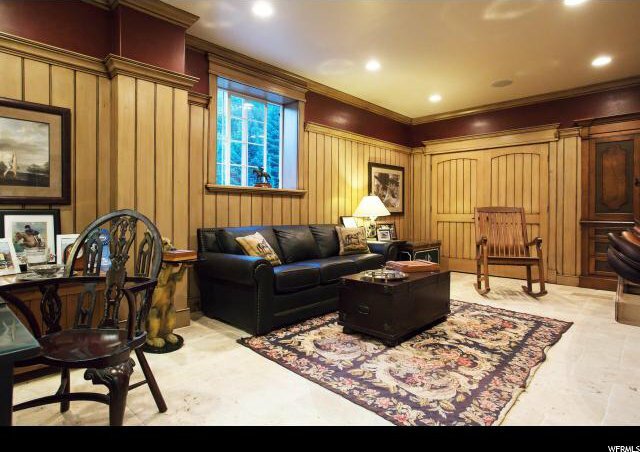 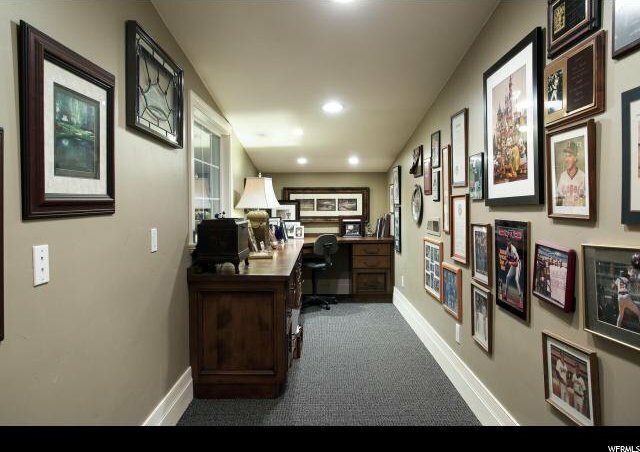 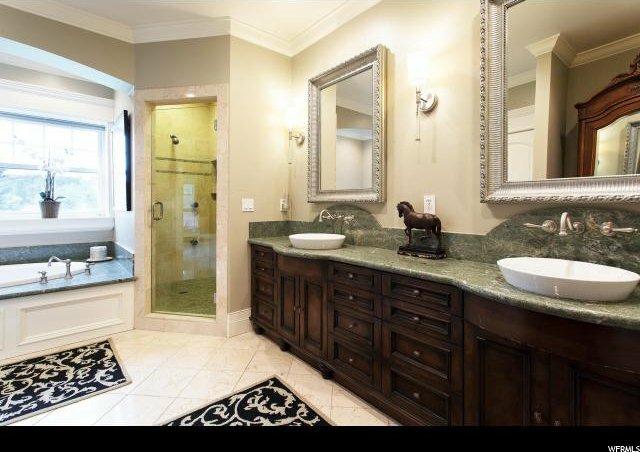 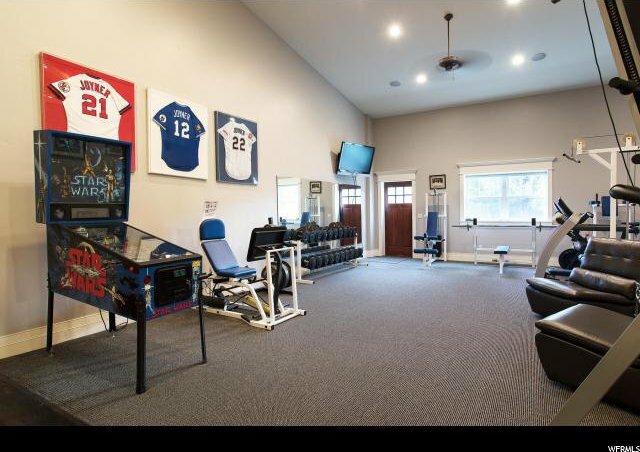 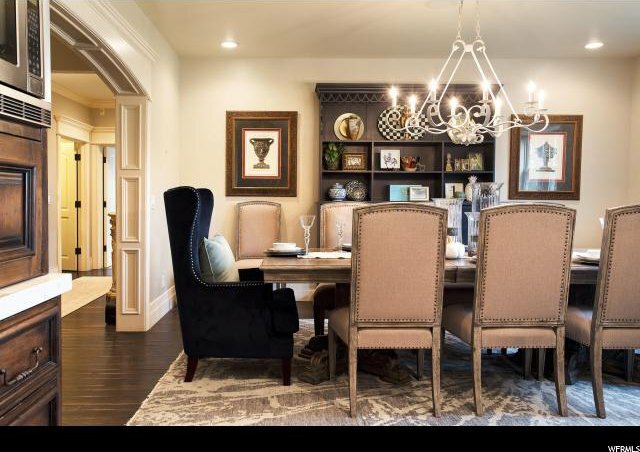 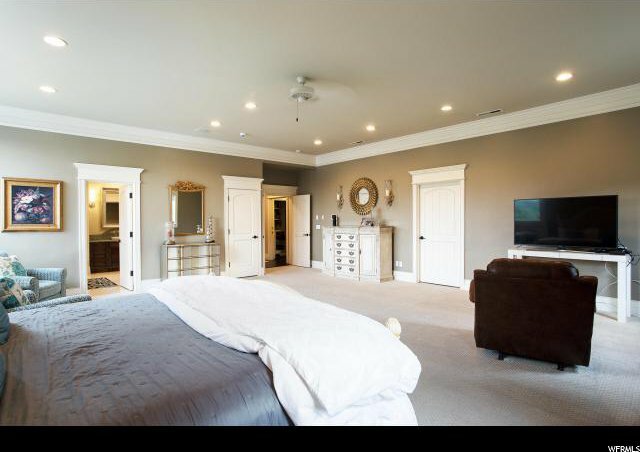 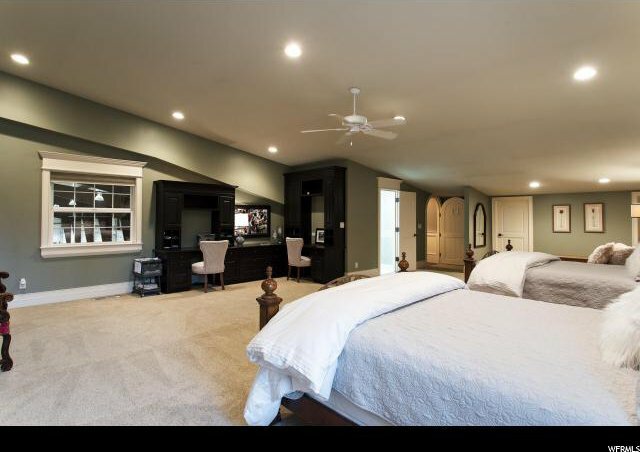 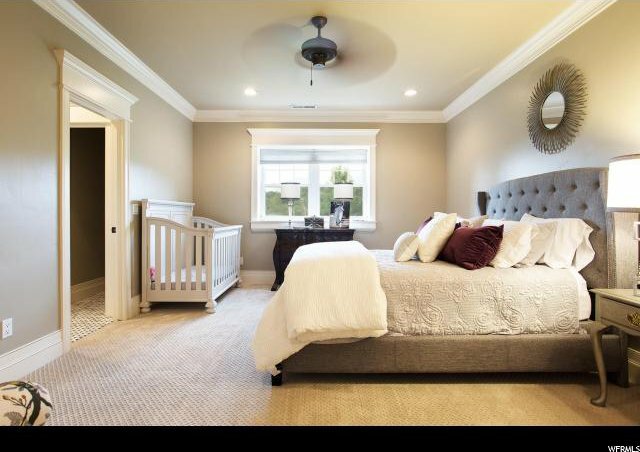 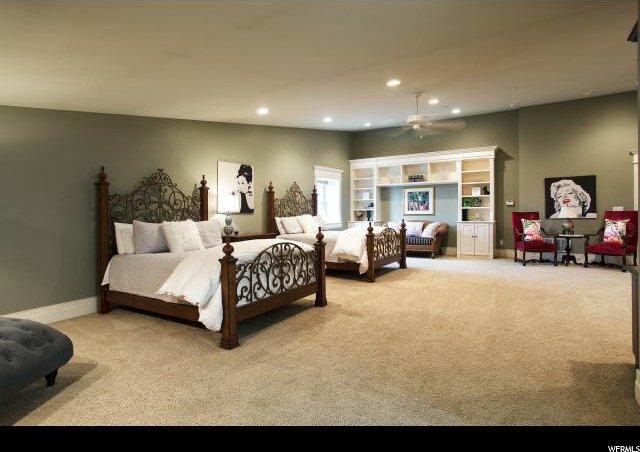 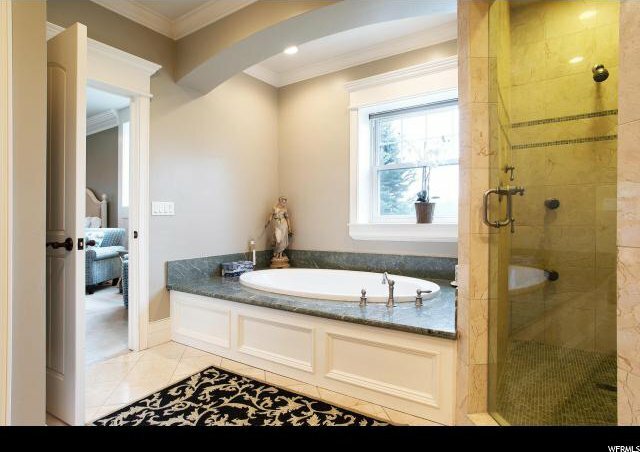 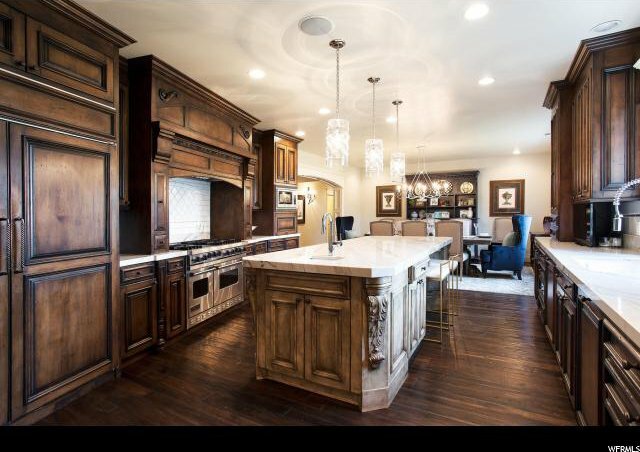 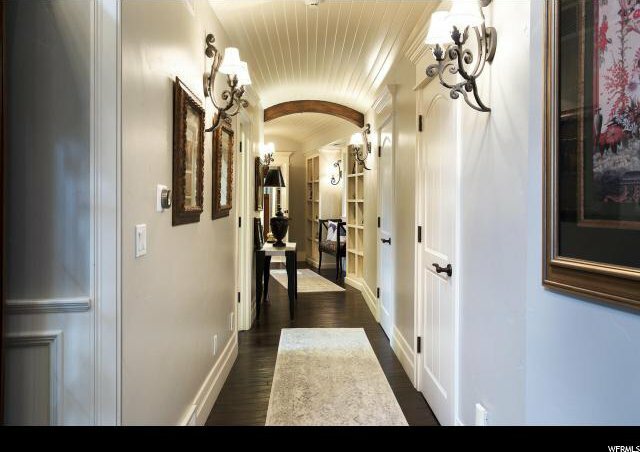 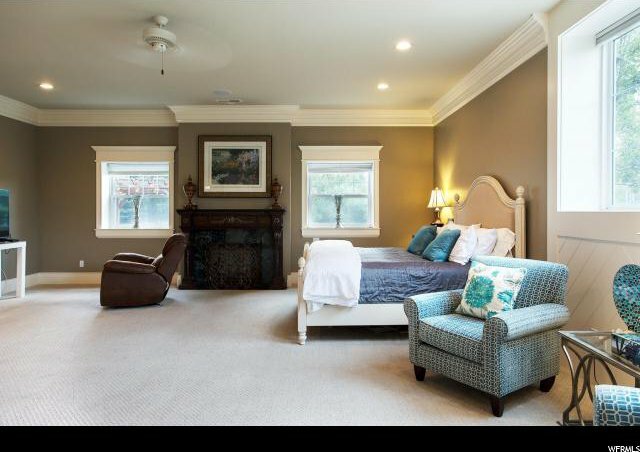 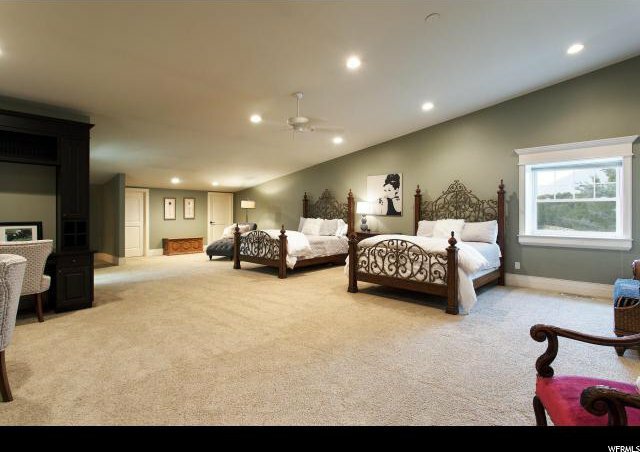 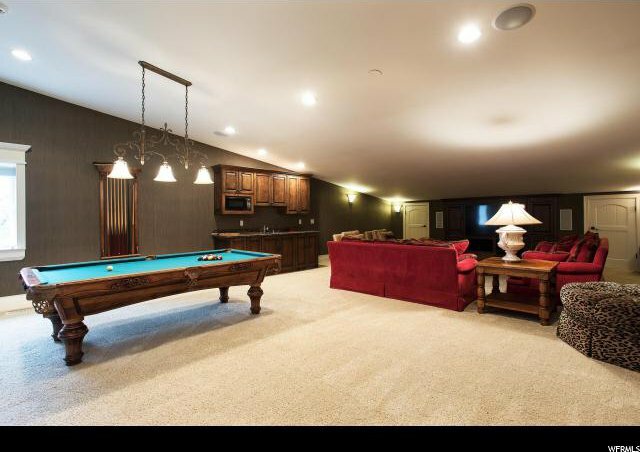 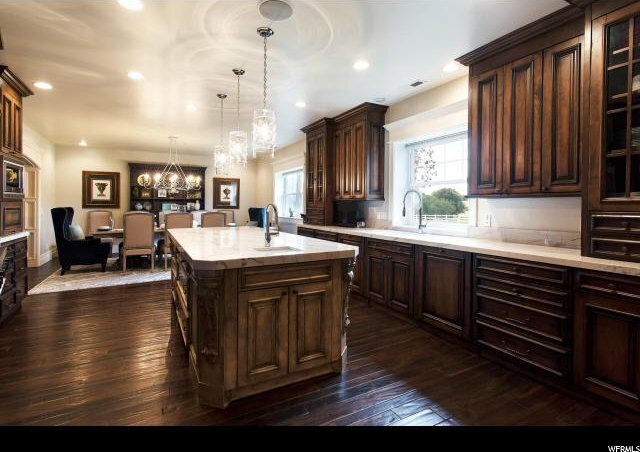 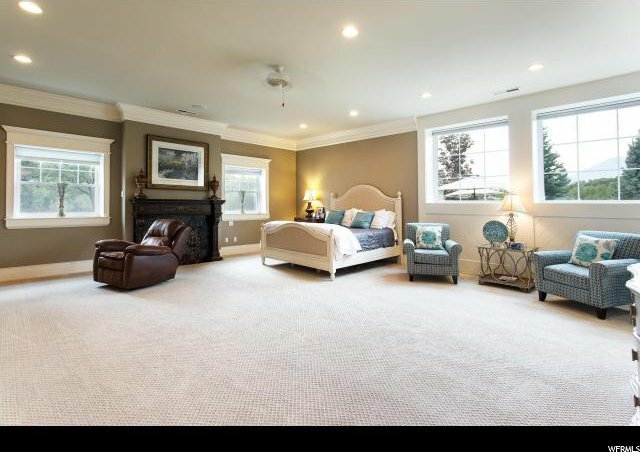 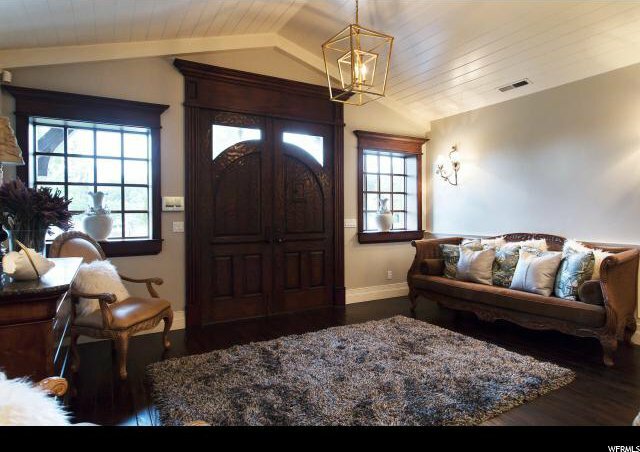 They boast incredible finish work, a large family room, a gourmet kitchen, a formal dining area, a huge master suite, a fun tv/game room, an office, a fantastic exercise facility, and two additional bedroom suites. 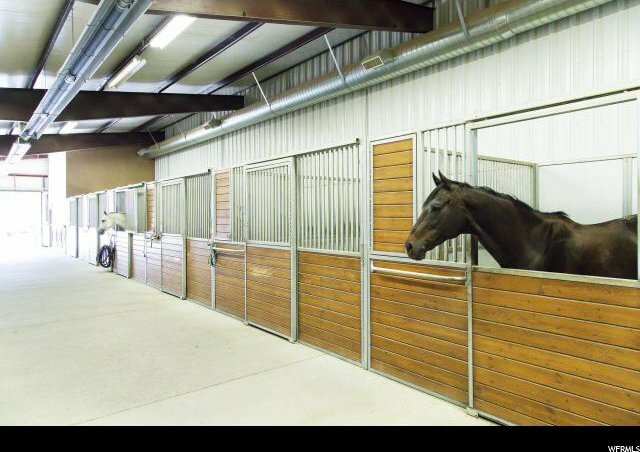 The living quarters even have windows looking into the indoor arena. 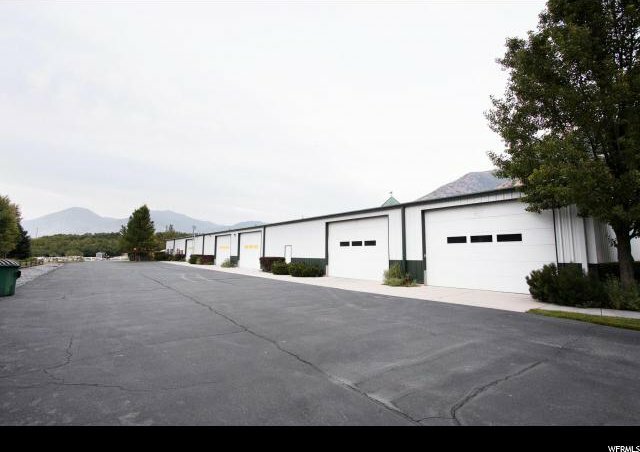 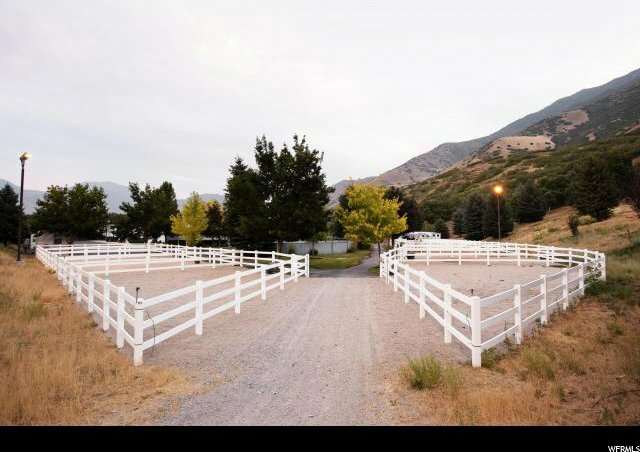 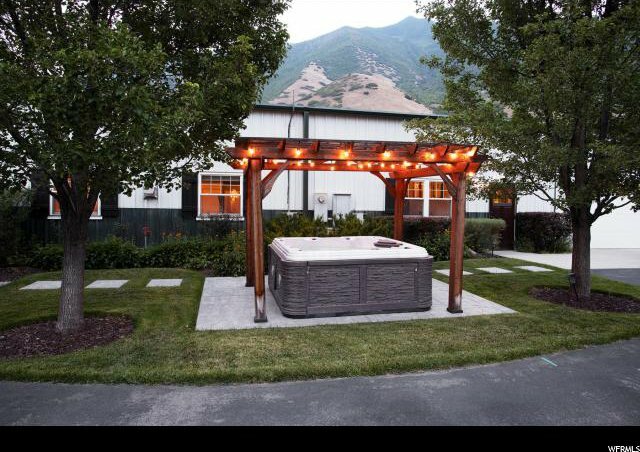 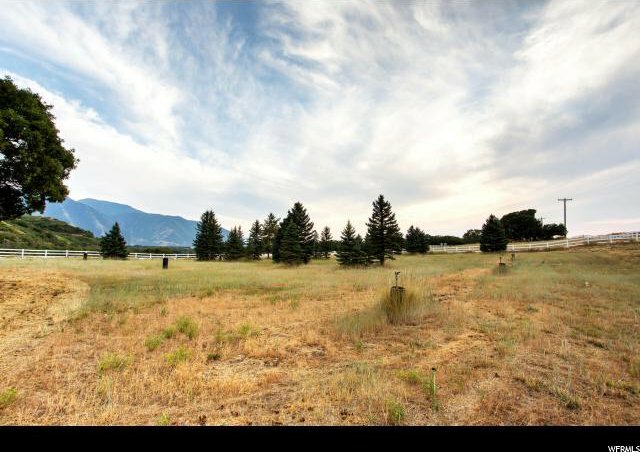 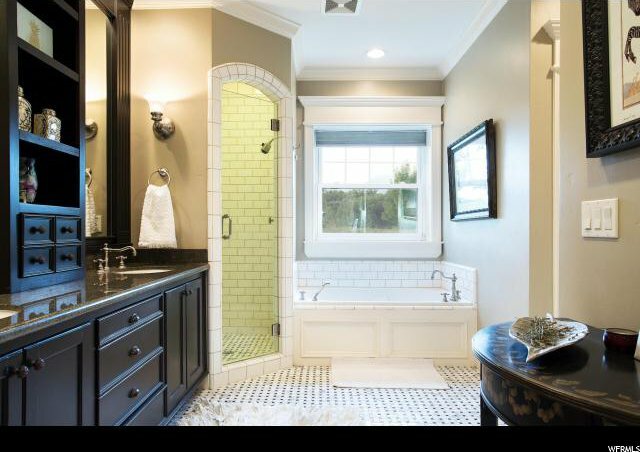 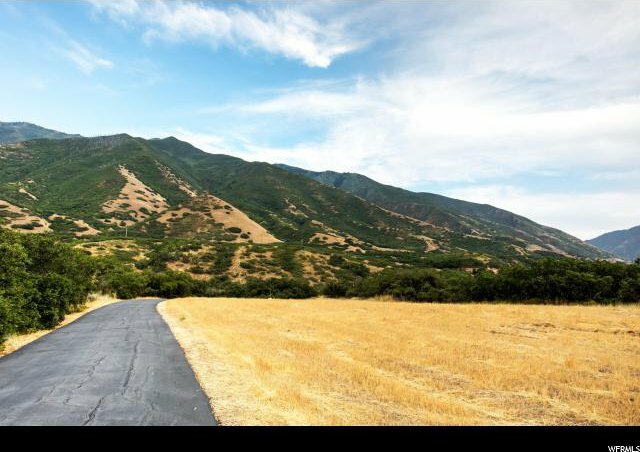 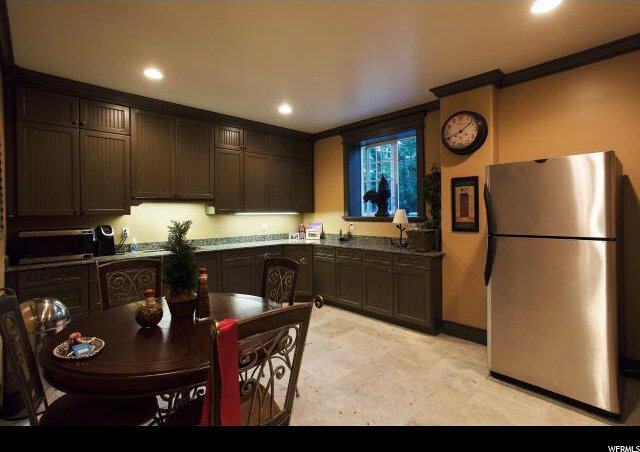 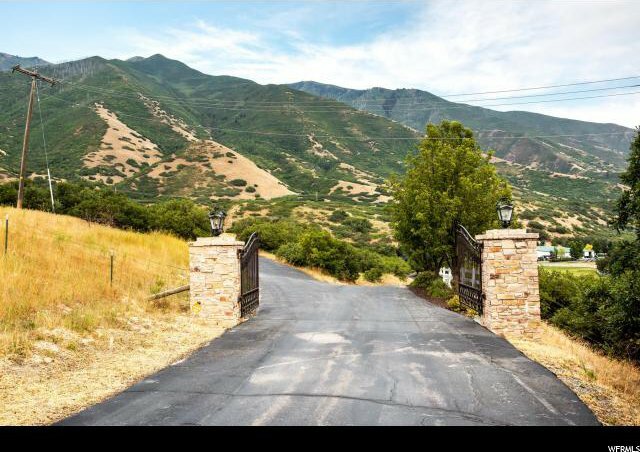 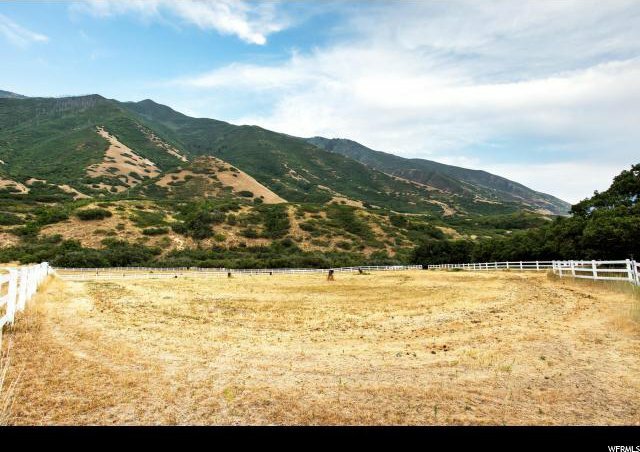 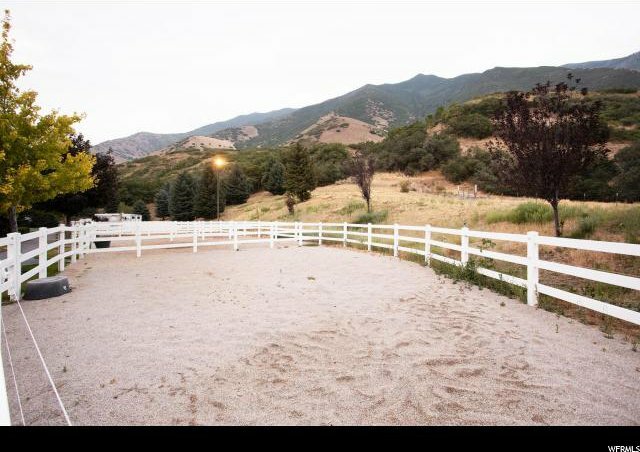 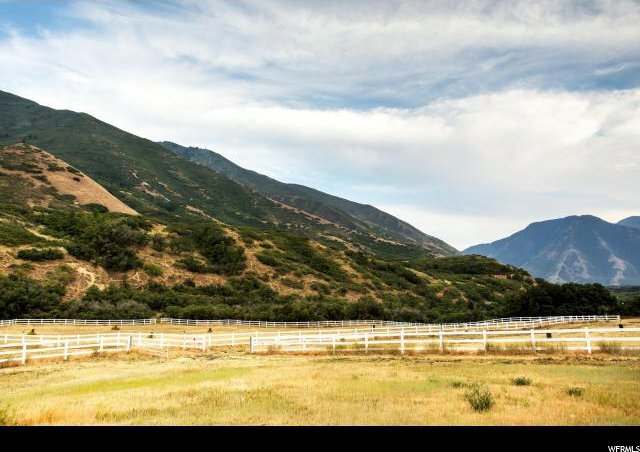 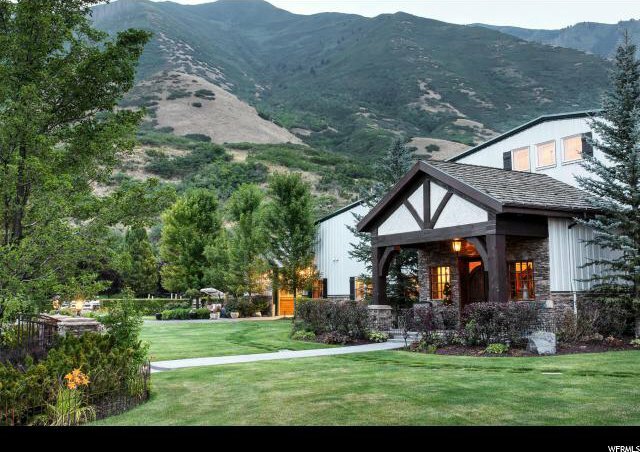 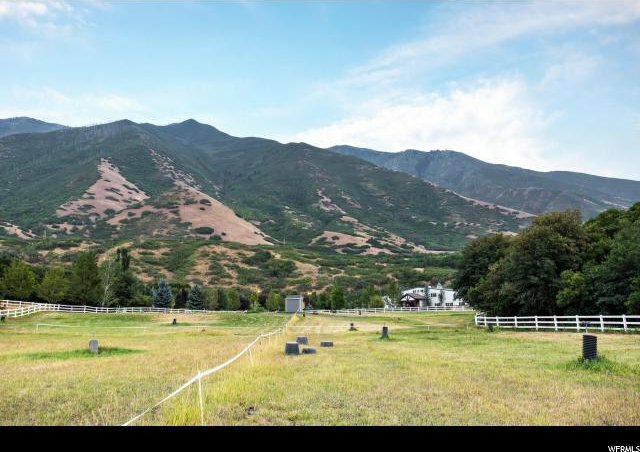 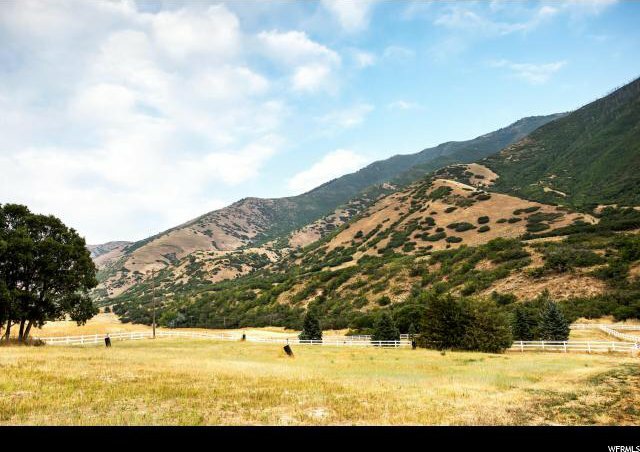 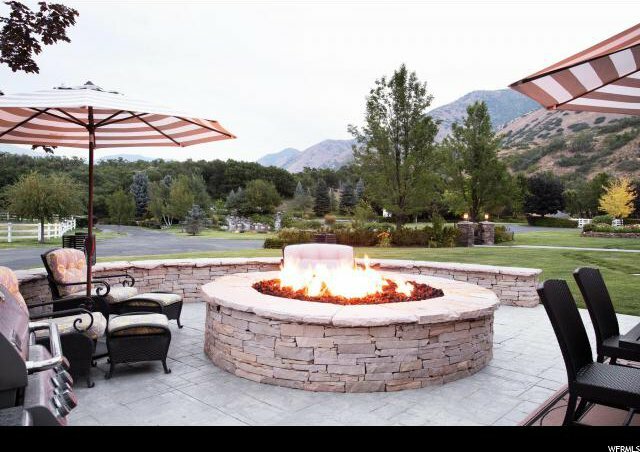 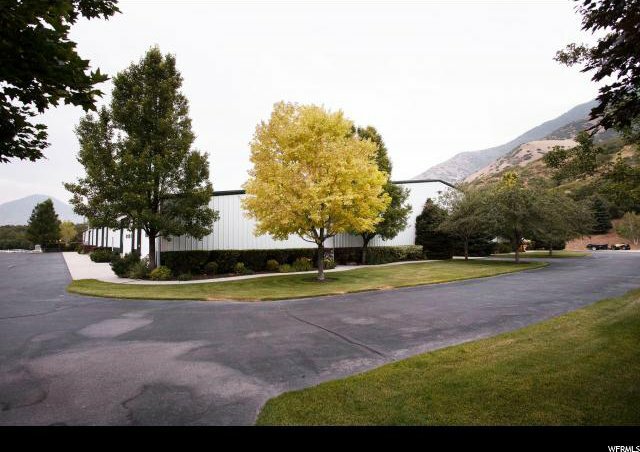 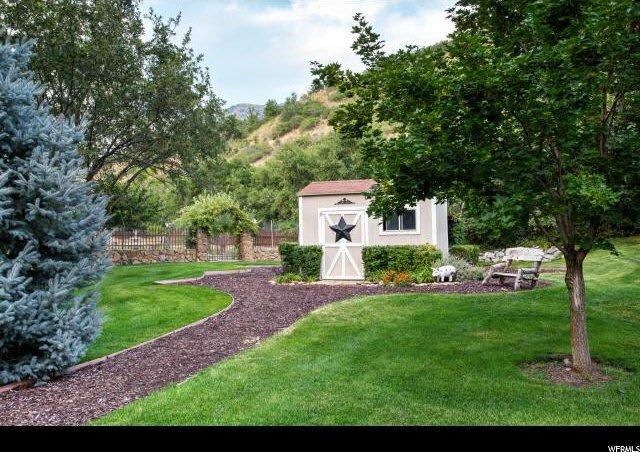 The property is located only an hour from Salt Lake City and Park City and 20 minutes to BYU.